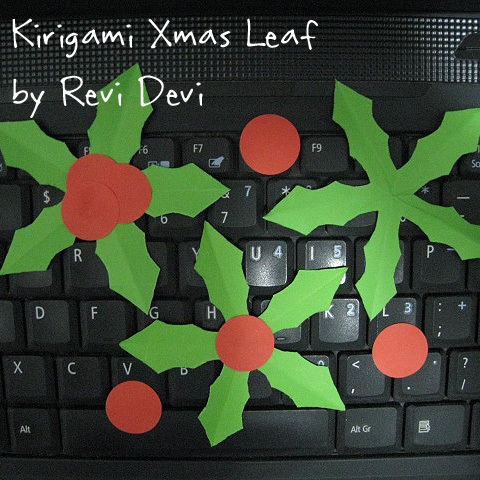 This is the second part of my kirigami xmas theme project. 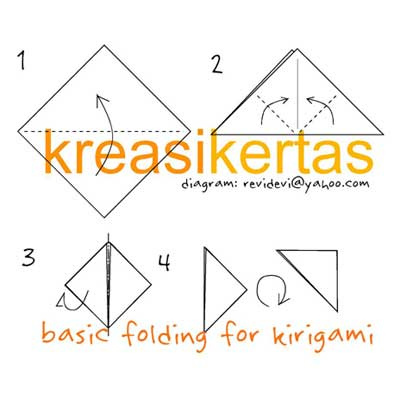 Begin with the basic folding. 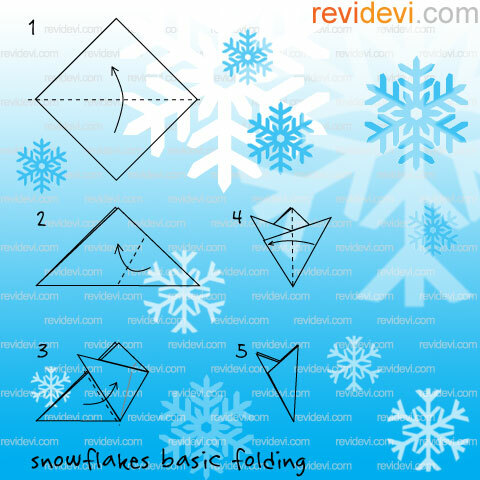 Steps explained here. 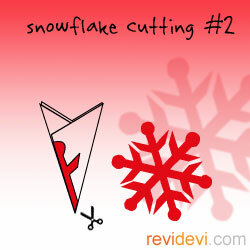 place the red & white berries. Mistletoe done! 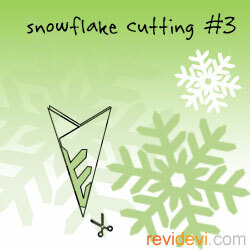 You can mount this onto paperstock, and have a sweet xmas card! 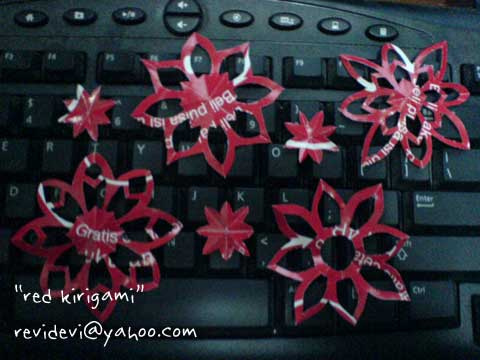 Ho.. ho.. ho.. Christmas is coming, so I make these xmas theme kirigami projects. 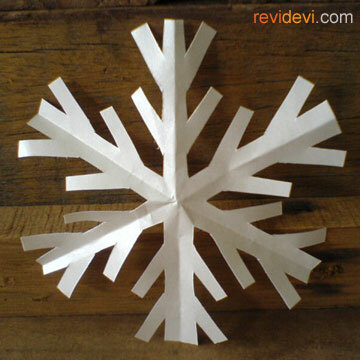 I love to see a piece of paper can transform into so many shapes. 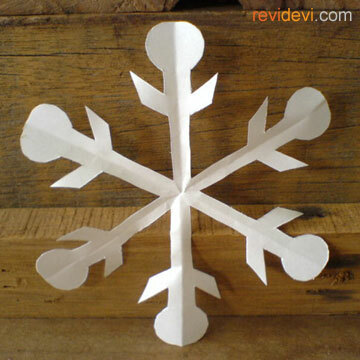 Kirigami is a fun craft to do. 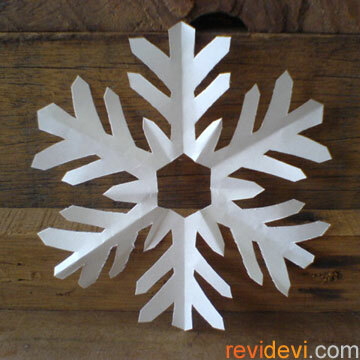 The word kirigami comes from the japanese word “kiru” (= to cut), and “kami” (=paper). 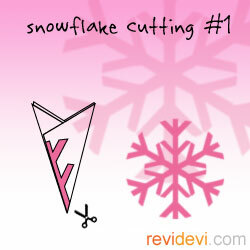 So, to have fun with kirigami, you will need scissor and papers. 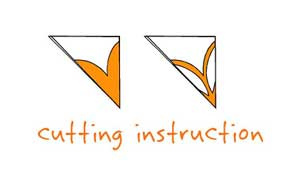 place that in the middle. Finished. 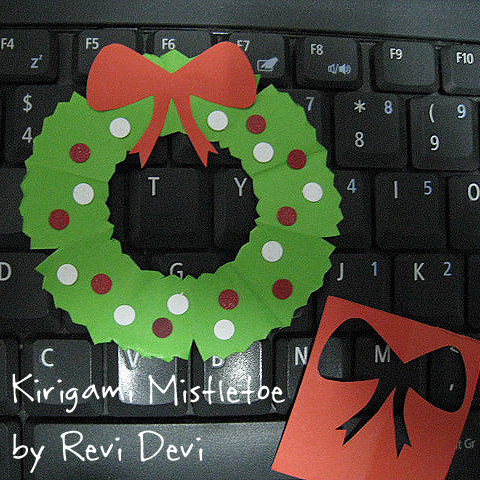 See my next tutorial for Mistletoe kirigami project.